The Best Doctor Blogs from thousands of Doctor blogs in our index using search and social metrics. We’ve carefully selected these websites because they are actively working to educate, inspire, and empower their readers with frequent updates and high-quality information. 2.10 Dr.Malpani's Blog | Helping patients and doctors to talk to each other! Doctor newsletter is a comprehensive summary of the day's most important blog posts and news articles from the best Doctor websites on the web, and delivered to your email inbox each morning. To subscribe, simply provide us with your email address. Nashua, NH About Blog Dr. Kevin Pho is a board-certified internal medicine physician and founder of KevinMD.com, which Forbes called a "must-read health blog." He shares the stories and insight of the many who intersect with our health care system, but are rarely heard from. Thousands of authors contribute to the site which includes front-line primary care doctors, surgeons, specialist physicians, nurses, medical students, policy experts and of course, patients, who need the medical profession to hear their voices. Facebook fans 113,634. Twitter followers 160,369. Washington, DC About Blog Welcome to Common Sense Family Doctor by Dr Kenny. He is a board-certified Family Physician and Public Health professional practicing in the Washington, DC area. He is also the Deputy Editor of the journal American Family Physician and teach family and preventive medicine and population health at Georgetown University School of Medicine, Uniformed Services University of the Health Sciences, and Johns Hopkins University Bloomberg School of Public Health. Facebook fans 195. Twitter followers 10,058. Hamilton, NJ About Blog Physician's Weekly provides news & information at the point-of-care to hospitals, oncology centers & physician group practices, including specialty editions for Surgery, Emergency Departments, Oncology, & Primary Care. Facebook fans 49,679. Twitter followers 3,453. Miami, FL About Blog Activ Doctors Online was founded in 2008, in France by Mr.Florent Monssoh. His mission is to help people take informed decisions about your health and lead a better quality of life – right from the moment when you are not well and figuring out whether to go to a clinic or hospital. Facebook fans 60,276. Twitter followers 767. About Blog Welcome to Me and My Doctor. We want to help patients and doctors find a new and better way to talk to each other. The purpose of this blog is create a dialogue between patients and doctors where they can discuss important health care issues, such as the new health law, government health insurance programs, health insurance, and hundreds of other topics. Facebook fans 6,087. Twitter followers 432. Manchester About Blog Dr Rangan Chatterjee investigates and treats many conditions including diabetes, autoimmune disorders, digestive problems, food allergies, skin problems, migraines and irritable bowel syndrome. He works with a wide range of people, from those who have specific health conditions to those who simply wish to optimize their health and performance. Facebook fans 47,430. Twitter followers 21,023. Albuquerque, NM About Blog Hi, I’m Lara and I’m the podcast host and founder of Married to Doctors. This Podcast is to support and strengthen families, especially the supporting spouses of physicians. Facebook fans 720. Twitter followers 194. NYC About Blog Dr. Mikhail "Mike" Varshavski is a Board Certified Family Medicine Doctor living in NYC. Facebook fans 810,650. Twitter followers 103,873. Chicago, IL, USA About Blog Twindoctorstv is the creation of twin Doctors Jamil and Idries Abdur-Rahman. This is an interactive viewer centered social and medical information platform that serves to inform, enlighten, motivate, educate and entertain, all while stimulating a discussion and establishing common ground all in the name of a healthier planet. Facebook fans 10,234. Twitter followers 1,385. 10. Dr.Malpani's Blog | Helping patients and doctors to talk to each other! United States About Blog Dr. Michael Breus is a Clinical Psychologist and both a Diplomat of the American Board of Sleep Medicine and a Fellow of The American Academy of Sleep Medicine. Most people could improve their sleep and many others are dealing with disorders, such as insomnia. We have advice, news and tools that can help you. Facebook fans 29,458. Twitter followers 26,973. San Francisco, CA About Blog Welcome to the Reddit page on Doctors. Follow to keep up with experiences and discussions related to doctors. Facebook fans 1,188,025. Twitter followers 550,434. About Blog Founded in 2006, we are the world's largest CEREC education resource. We are a supportive community that embraces all levels of proficiency and doctors can find answers to virtually any clinical, technical or practice challenge they encounter. Facebook fans 11,140. Twitter followers 4,406. About Blog Heather Fork is the owner and founder of the Doctor’s Crossing. As a certified coach, she works with physicians who are seeking to renew and reinvigorate their careers and avoid burnout. About Blog This blog is of a single black mother and fourth year medical student on the road to becoming a physician, Danielle Ward. She started this blog so that others like her on the same path could have someone who they could relate to. She also noticed that it is very hard to find minority women in osteopathic medicine on the web, so she wanted to do something to highlight these women. About Blog Welcome to OB Doctor Mom by Valerie A. Jones. I have written on a variety of topics including women’s healthcare, physician working conditions, mothering and medicine, retirement/early financial independence, leaving a medical career, and more….partly determined by what readers want to hear more about. Facebook fans 167. Twitter followers 234. About Blog Welcome to Reflections of a Grady Doctor by Kimberly Manning. I write this blog to share the human aspects of medicine, teaching and work/life balance with others and myself and to honor the public hospital and her patients but never at the expense of patient privacy or dignity. Maine, USA About Blog Follow to keep up with notes from a doctor with a laptop, a housecall bag and a fountain pen. He is practicing small town medicine for thirty years and seeing three or four generations of many families has given him a perspective fewer physicians have today. San Francisco / Boston About Blog Neha Sangwan is an internal medicine physician, international speaker and corporate communication expert. Her private practice and corporate consulting focuses on empowering individuals, organizational leaders, and their teams with the tools for clear, effective communication. She addresses the root cause of stress, miscommunication, and interpersonal conflict, often healing chronic conditions such as headaches, insomnia, anxiety, and depression. Facebook fans 38,375. Twitter followers 3,170. About Blog A blog about ER experiences by an ER physician doctor. Stories about illness, medicine, human triumph and suffering, and life. About Blog Medical Field in India. Its been more thn 11 years now that i m working in different Hospitals different Departments on different Levels as an assistant or officer to help to smoothen the Patient-Doctor/Hospital relationship. North Kingstown RI About Blog The Direct Doctors Blog wants to bring back the good old days when the doctor visited your house when you were sick, knew every member of your family, took time to listen to your stories and concerns, and treated you with compassion and care. Facebook fans 1,019. Twitter followers 815. About Blog Doctor Rachel is an award winning family practice doctor who has been on the forefront of using integrative medicine principles to help her patients heal from the inside out. She’s a physician, author, speaker, and teacher in the US and abroad. United States About Blog Doctors for America is a national movement of physicians and medical students working together to improve the health of the nation and to ensure that everyone has access to affordable, high quality health care. We mobilize doctors and medical students to be leaders in putting patients over politics on the pressing issues of the day to improve the health of our patients, communities, and nation. Facebook fans 7,572. Twitter followers 14,373. San Francisco, CA About Blog Better Doctor is the most trusted source of validated doctor data. Our data and services power health plan directories, consumer review sites, and individual doctor websites. Our mission is make finding the right doctor easy. Facebook fans 6,695. Twitter followers 1,796. 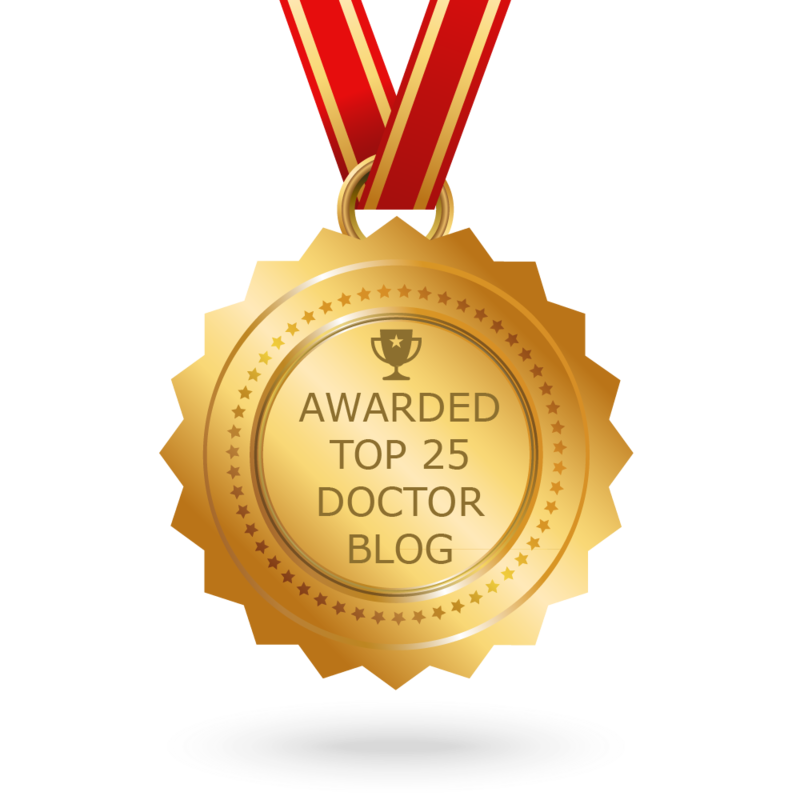 CONGRATULATIONS to every blogger that has made this Top Doctor Blogs list! This is the most comprehensive list of best Doctor blogs on the internet and I’m honoured to have you as part of this! I personally give you a high-five and want to thank you for your contribution to this world.